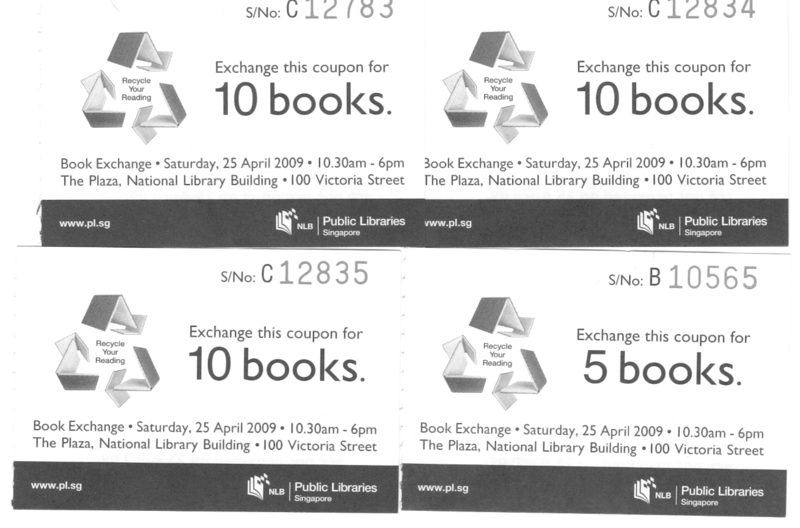 The National Library has a book exchange drive where coupons are provided for each book donated. We’re helping Gabriel & Tana River Life Foundation fill the empty library at the high school you saw on the slideshow. Slide is attached. 1. Get folks ( you and your friends ) to bring their old books ( see guidelines below ) to the National Library between 11 – 24 April ( now till next Friday ). You’ll get a coupon per book with an upper limit of 30. 2. Pass your coupons to me ( plus it would be great if a few more of you could volunteer your time to pickup the books as each person is again limited to pickup 30 books ). 5. We’ll have to look for some storage space from April 25 to January next year when Gabriel comes around again. Alternatively we can ship the books to Kenya. We can find out how much it cost and see if we can raise the money.